Jazz Is PHSH is an instrumental tribute to PHISH that is comprised of a collective of ALL STAR musicians that includes members of Phish’s Giant Country Horns, Trey Anastasio Band, Snarky Puppy, Dave Matthews Band, The Flecktones, Victor Wooten Band, Sun Ra Arketra, and more! 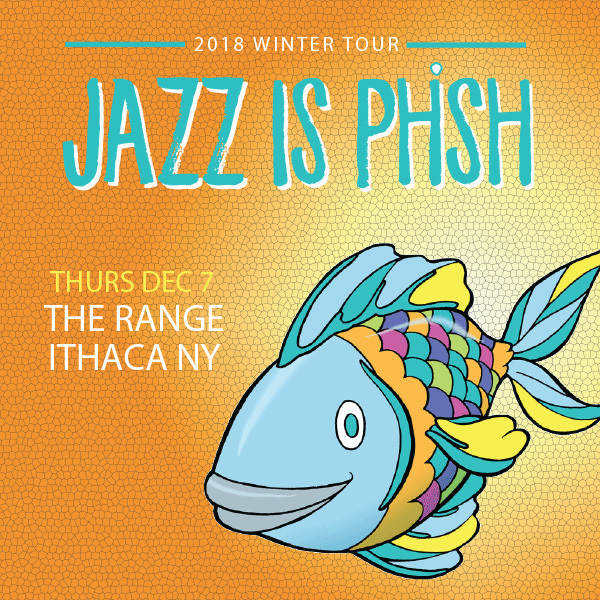 Founded in 2015 by The Chase Brothers, Adam Chase and Matthew Chase, Jazz Is PHSH has set out to explore the music of Phish with the help of world class musicians from various musical backgrounds. On Jazz Is PHSH’s debut record, “He Never Spoke A Word” the result of their efforts are on full display as the album brings new life to old Phish songs in a way that honors the music while reinterpreting the songs in a a funky jazz fusion. The album features Dennis Chambers, Jeff Coffin, Kofi Burbridge, Anthony Wellington, Jonathan Scales, Chris Bullock, Michael Ray and many other amazing musicians and is available on CD and Vinyl at www.jazzisphish.com. With the music of Phish being both largely improvised as well as highly composed, the framework of Phish's music is the perfect vehicle for exploring in an instrumental setting. The compositions are both challenging and adaptive. Jazz is Phish provides an exploration of Phish music unlike anything else.